Despite being desperately desired by Jose Mourinho, it seems very likely that Marouane Fellaini won’t renew his contract with Manchester United and will seek a new club as a free agent coming summer. Several big clubs will be highly interested in acquiring the able midfielder’s services, and Mourinho will try to pull tricks till the very end to ensure that some hope of retaining the Belgian remains. But that hasn’t stopped the boss from seeking out a potential replacement, and reports suggest that the tactician might have found the perfect man for the job. 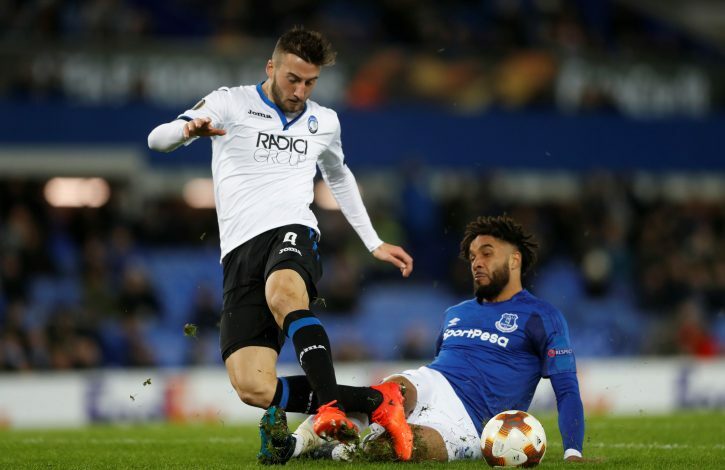 As per The Sun, United are readying a bid worth £31 million in order to purchase Atalanta’s Bryan Cristante, who will be a direct replacement for Fellaini. It is important to note that the 22-year-old is on loan from Benfica, but Atalanta have an option to pen him down permanently for a mere £10 million. The same source believes that the Serie A club will do just that in order to sell him to United for triple the price. Further, the Italian midfielder has already set his mark quite well in the domestic league, and has been particularly effective in the club’s European campaign. In two fixtures against Everton, the midfielder found the back of the net thrice, and was significant in their eight-goal haul over the Premier League club. Moreover, the player himself is believed to be greatly inclined in making the move, as Paul Pogba is one of his main idols. Apart from the chance of playing with the French maestro, Manchester United is undoubtedly a destination that few youngsters can say no to easily. However Juventus, Inter Milan and Atletico Madrid were believed to be interested in the starlet as well, but were holding out due to the enormous price tag attached. Should United lose Fellaini, though, the price won’t be a factor in the Red Devils making the transfer theirs.